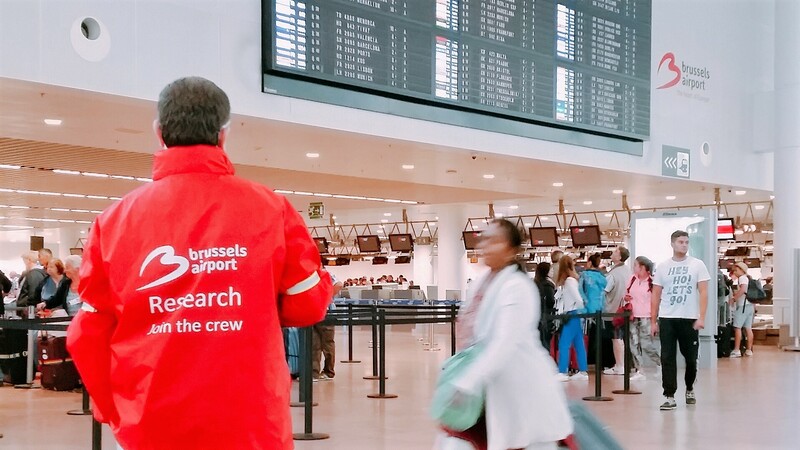 Last summer Brussels Airport launched the “Join the Bru Crew” project aimed at collecting feedback from travellers on what they feel is going well and what could be improved at the airport. 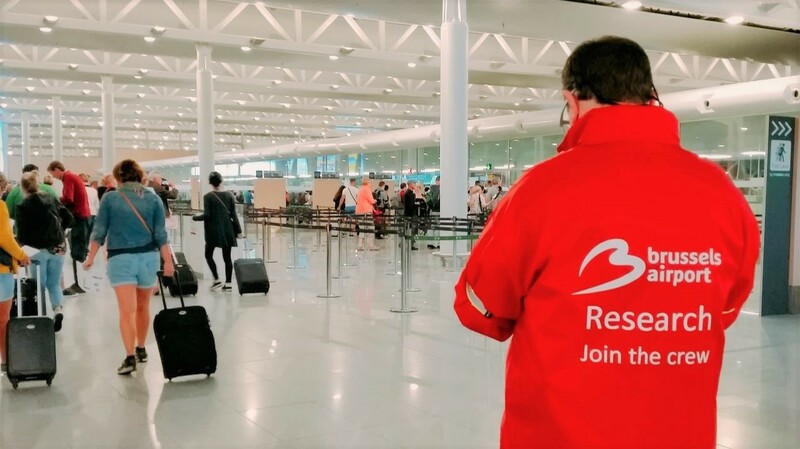 Always ready and willing to help improve service for our fellow travellers we signed up and became one of the 114 members of the “BRU Crew” community. As the airport wanted to find out what the BRU Crew members thought of the overall airport experience they provided the participants with a ticket to a European destination. I had the chance to participate in an innovative research method using a stress monitor and eye-tracking glasses. So on the morning of our flight to Copenhagen we had to be ready by 4am to have the monitor and eye-tracking device installed. These devices recorded all my stimuli from driving to the airport to waiting at the gate to board our flight. While the stress monitor measured my stress levels the eye-tracking glasses used dual cameras to record not only my eye movements but also everything I looked at. For the BRU Crew project we were asked to fill out a questionnaire and send in pictures evaluating and illustrating our time at the airport through a specially designed smartphone app. Upon returning from our trip to Copenhagen a second survey with questions about signage, parking, check-in procedures, security, shopping experiences etc. was waiting to be completed. Having processed all the information the BRU Crew members provided, Brussels Airport has revealed the results of the BRU Crew project. Brussels Airport was delighted to learn that passengers feel quite a few things are actually going very well, for example airport staff was described as friendly and helpful. The new build Connector gets a big thumbs up as an agreeable place to spend time. The new seats around the piers are described as comfortable and the charging points for electronic devices are very appreciated. Following the BRU Crew feedback Brussels Airport has also implemented some improvements for their passengers. These include the installation of additional self-check-in machines, allowing passengers to check in more rapidly. The airport improved signposting of the car parks and introduced a new parking concept, which allows visitors 30 minutes of free parking. Furthermore the airport opened a new free passenger drop-off area within very short walking distance from the terminal. As frequent travellers we understand how overwhelming and stressful any airport can be, especially for those travellers who are not used to the comings and goings of an airport. Through ongoing surveys Brussels Airport is continuously adjusting and improving the airport to better suit the needs of its passengers. We enjoyed the opportunity to be part of this process and look forward to providing feedback from our future travels.